We truly would not be able to provide programs and services at our current rate without the support of dedicated volunteers. We rely heavily on volunteers in order to ensure 85 cents of every dollar donated goes directly to programs and services benefiting those in need. All House of Hope services are nested within Project HOPE (Helping Others Progress through Empowerment), ensuring that all people seeking help receive some level of case management. 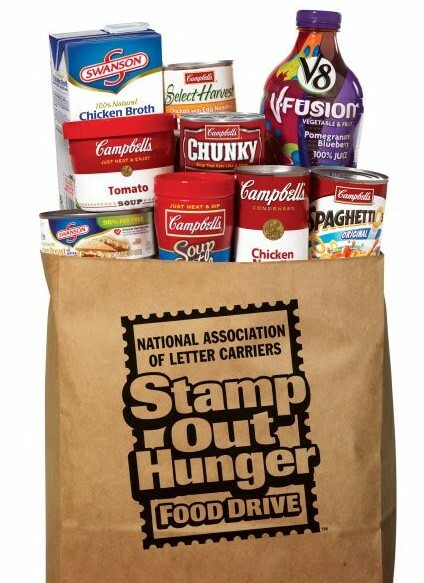 National Association of Letter Carriers’ Stamp Out Hunger Food Drive Each year on the second Saturday of May, letter carriers across the country collect nonperishable foods as part of the nation’s largest food drive, distributing the donations to local food banks. The timing couldn't be better for House of Hope, a recipient agency for the food collected in Martin County. Despite its wealth more than 200,000 Martin County residents, 64,000 of which are children, do not know where their next meal will come from and pairing decreased seasonal employment along with school lunch programs closing for the summer, the need for safety net services including food, clothing, and financial assistance is about to rise. The public is encouraged to participate in this food drive on May 11, by leaving non-perishable food donations by mailboxes and in post offices, to feed the hungry of all ages in our community, especially during the summer months when resources are fewer – together, House of Hope and the Martin County community can help to Stamp Out Hunger.